Grapple Academy Martial Arts is excited to launch our Self-Defense, San Shou Martial Arts class! This new class is offered every Wednesday at 6:30PM. This is a great program for anyone looking to learn practical self-defense techniques. Our curriculum covers a wide variety of typical attacks that one would encounter on the street, in an elevator, in a bar or even in school. By training regularly, you will become more aware of these situations, and yourself. After taking a class, our students feel a sense of calmness and confidence. 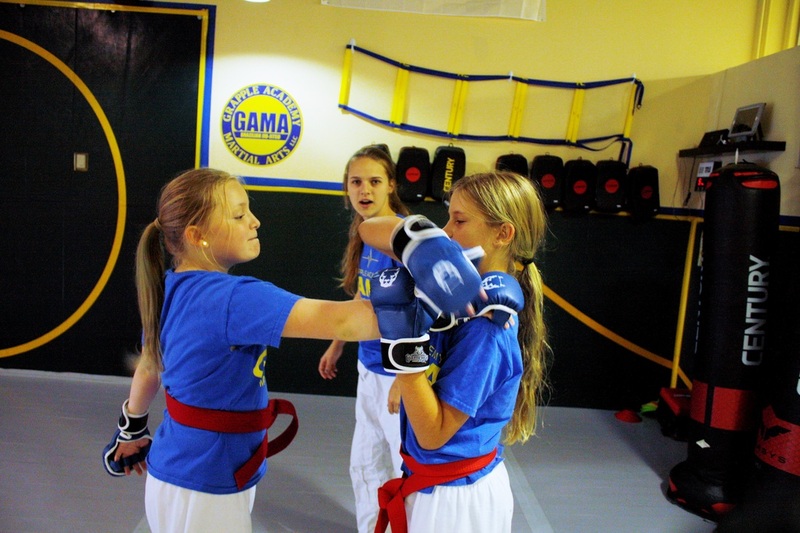 Our Self-Defense class is great for middle school and high school students. It builds coordination, agility and fitness. It will also build self-esteem, and helps them overcome challenges. Our Self-Defense, Martial Arts program will give college students practical self-defense techniques. It also will reinforce making good choices and character development. Martial Arts is fitness and function all at the same time. Our self-defense curriculum will keep you in great shape and give you a level of confidence that you've never had.